If you were to ask a random group of reasonably well-educated 21st century people to name the most pressing issues of the 1800s, you would likely find at the top of the list words like “slavery” or “the ‘woman question.’” And indeed, these issues determined much of the course of 19th century history (and the furious and hair-tearingly frustrating politics of today). But if you were to travel back in time to ask a number of 19th century people to name their topmost concerns, you’d likely find that not a few of them would discuss the problem of.... Ghosts. Along with Abolitionism and Feminism, one of the most significant movements to emerge from the Victorian era was Spiritualism, and it was a serious business, in both an idiomatic and economic sense. Psychics and mediums preyed on credulous and grief-stricken people hoping to reconnect with lost loved ones. Hoaxes abounded, skeptics and true believers formed societies and published literature. You might say that for Victorians, “Spirits” had all the cultural power that UFOs had for post-war Americans. 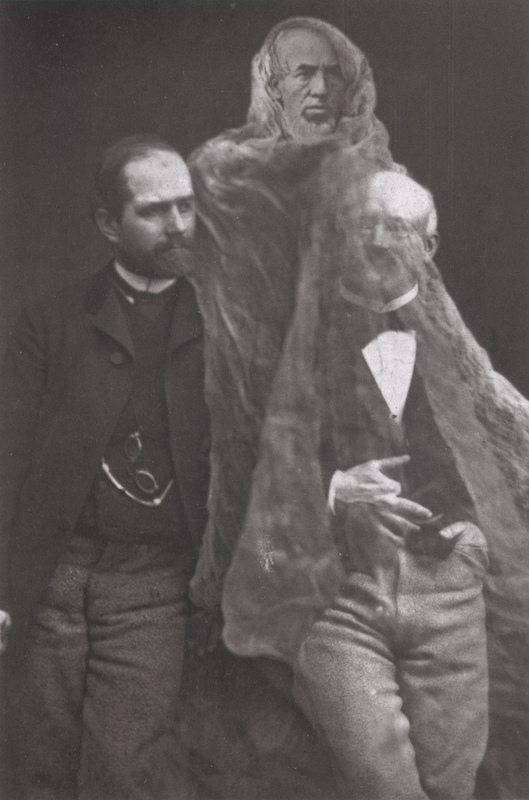 So influential was Spiritualism that it inspired many of the leading intellectuals in England to found an exclusive club devoted to pursuing the paranormal. ...use their combined book smarts to attempt to prove or de-bunk claims of the otherworldly. One of the first investigations they conducted was to determine if The Davenport brothers could really contact the dead using something they called a "spirit cabinet." In the end it was concluded that, no, they could not. 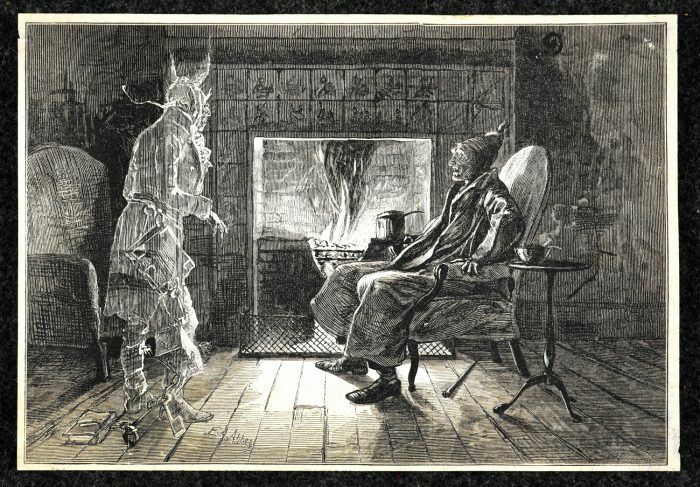 The question of spirits in the 19th century was treated as both a metaphysical and a scientific one, and was pursued with vigor next to all kinds of other logical methods and pieties. 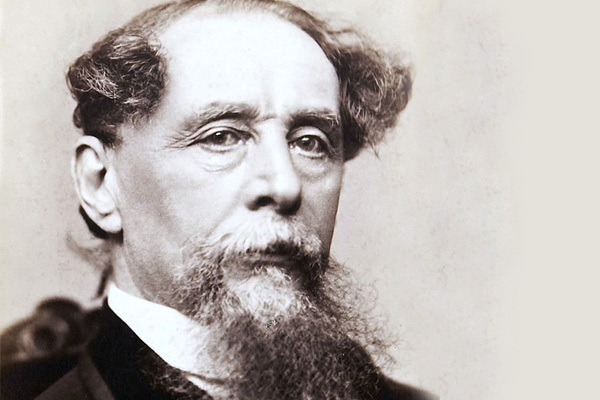 "Zealous defenders of the traditional Christian doctrine like Thomas Carlyle or John Ruskin," explains Dickens scholar Soumya Chakrabarty, "argued in favour of the supremacy of spiritual vision," and thus the possible validity of ghost sightings. Sir Walter Scott “saw ghost sightings as optical illusions," and Scottish physician John Ferriar—who wrote an early treatise on the subject---"saw ghosts simply as vivid visual memories that keep coming back." Of course many people disapproved of such investigations, considering them heretical to religious, philosophical, or scientific doctrines. Therefore, the Ghost Club “kept scant records of their meetings, so members were able to speak freely about their beliefs without fear of ridicule—sort of a ‘Spiritualists Anonymous.’” It was also very much a boy’s club, such that when a later organization, the Society for Psychical Research, admitted women, Ghost Club members were “spooked,” remarks Tibbott, and became an even more “secretive, select brotherhood (they actually called each other ‘Brother Ghost’).” They finally admitted women in the 20th century. That there are on record many circumstantial and minute accounts of haunted houses is well known to most people. But, all such narratives must be received with the greatest circumspection, and sifted with the utmost care; nothing in them must be taken for granted, and every detail proved by direct and clear evidence, before it can be received. Crookes reported several sightings of a ghost named “Katie King,” but most people believed he had been duped by his test medium, a teenager named Florence Cook. His “apparent credulity made this one of the great scientific controversies of the age,” and the resulting uproar nearly ruined his business and his credibility. The club's activities lapsed after Dickens' departure and the Crookes incident, but was revived in 1882 by clergyman and medium William Stainton Moses, a believer in ghosts, who wrote about the paranormal transmission of spiritual messages through automatic writing. Despite these embarrassing incidents, the Ghost Club continued to attract those with paranormal research interests, and still continues today, though it is hardly the exclusive gentleman’s club it was in Dickens’ day. Though still based in the UK, the club “has members all over the world.” They invite any “genuinely open-minded, curious” individual, “whether “an interested skeptic, an academic, or scientist” to join the still fascinatingly inconclusive journey into the paranormal.